She does not follow the crowd … she gently guides her own way through it!! Her personality flows with her choice of instruments! and that soft sweet sound is So beautiful! it has always been my personal favorite ‘band’ instrument beaming the most beautiful yet gentle sounds you have ever heard. 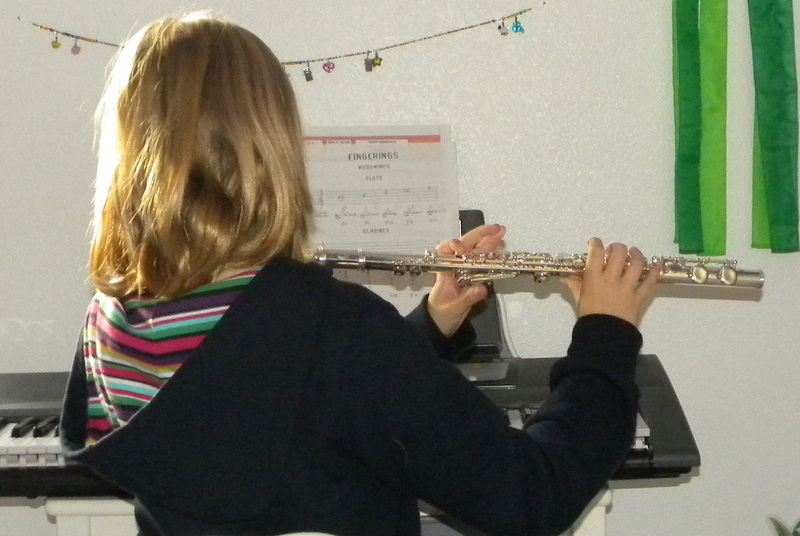 She absorbed it quickly and was playing beautifully in No time!! She is a hard working, dedicated and loyal little soul. So loyal she worried that playing the flute would take away from her dedication to learning piano! She often “worries” about her friends and family in that same manner!! Man I love that kid!! and does her very best in every thing she does… ! who softly and tenderly leaves a beautiful impression on those around her!! Awww…how exciting! A real inspiration, indeed. What a sweet little post about your daughter! She sounds like a wonderful young lady! She is precious! I think it’s great you are encouraging music in your home… it’s so good for children! such a beautiful post for a beautiful young lady. So sweet. I played piano and flute growing up too! She sounds like such a special girl. I remember when I took flute. I think I lasted for about a month. So I guess I’ll just have to settle for my 10 years of piano. But the piano is so inconvenient. You can’t pack one in your backpack! What a sweet spirit your daughter seems to have! And to have the gift of music is wonderful! How blessed you are, Jenn! I used to play the flute. Sounds like you have a wonderful little quiet leader and flute player 🙂 She is adorable. I enjoyed seeing your beautiful daughter playing her flute. 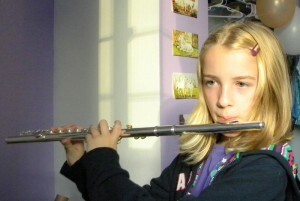 My daughter Jessica also plays the flute, in fact she is playing it as I type. The flute is such a beuatiful sound. This is a beautiful post about your daughter. I love the sound of a flute. My sister played it growing up and I miss the sound of it. My daughter wants to play when she’s old enough for band.